Draft: 2008, St. Louis Cardinals, 32nd rd. He and his wife Jaime have two daughters, Ryan Leigh and Reese Avery. In his second season with Atlanta, appeared in a career-most 63 games despite missing 20 games on the 10-day disabled list from 7/30-8/19 with left shoulder inflammation...Marked his first career DL trip ... In his first nine games of the season, did not allow a run over 7.1 innings…Over his next 40 games, compiled a 6.68 ERA while walking 25 in 32.1 innings (24 ER)…After returning from the disabled list, made 14 scoreless appearances, spanning 10.2 innings ... Did not receive a decision in his first 13 appearances, running his streak of games without a loss to 190...Freeman's run, which ended on 4/23 at CIN, is the second-longest in MLB history and dated to 10/3/12...Only Trevor Miller (240 games, 2006-09) compiled a longer streak in MLB history ... Compiled a 2.77 ERA (8 ER/26.0 IP) and a .194 batting average against in 32 road games…Had a 5.92 ERA (16 ER/24.1 IP) in 31 games at SunTrust Park ... Went more than 1.0 inning in 10 of his 63 appearances, including a season-best 2.1 on 6/19 at TOR ... Inherited 44 runners and allowed 13 to score (29.5%)…Finished as one of 20 qualifying N.L. relievers to have a strand rate over 70% ... Among pitchers who threw at least 50.0 innings, his 5.72 BB/9 ratio was the fourth highest in baseball. In his first season with the Braves' organization, finished with career-high totals in appearances (58), innings (60.0) and strikeouts (59)... Began the year with Triple-A Gwinnett before tossing 1.0 inning in his Braves debut on 5/5 vs. STL...From that date through the end of the season, led Braves relievers in games, innings and strikeouts... Also finished with a career high-tying 12 holds…His total was third best on the Braves…Also had 12 holds in 2015 with Texas...Failed to protect three leads…In two of those blown save situations, did not allow an earned run (9/26 at NYM and 9/29 at MIA)...Ran his streak of appearances without a loss to 177 games, tied for the longest such active streak in the majors with RHP Peter Moylan...Freeman's run dates to 10/3/12...Only Trevor Miller (240 games, 2006-09) and Glen Perkins (181 games, 2012-14) have had longer such streaks in MLB history...Went more than 1.0 inning in 13 of his 58 appearances…Tossed a career-best 3.0 innings on 5/18 vs. TOR...Fanned a career high-tying four on 5/25 vs. PIT...Over a nine-game stretch from 7/9-7/31, allowed eight runs and two home runs in 9.0 innings…In his other 49 appearances, compiled a 1.59 ERA (9 ER/51.0 IP), while allowing just one home run...Compiled a 3.38 ERA (11 ER/29.1 IP) in 25 games prior to the All-Star break…Pitched to a 1.76 ERA (6 ER/30.2 IP) in 33 games following the break…Among pitchers with as many innings as Freeman following the All-Star break, his ERA ranked tied for ninth best in the majors and tied for third lowest in the NL...Over his final 25 games, allowed one earned run for a 0.40 ERA (22.1 IP)...Opponents hit .149 against him over this stretch...Batters leading off an inning against Freeman went 5-for-53 (.094)...His .094 average led the majors in such situations (minimum 50 at-bats)...Lefties hit .189 (18-for-95) with 28 strikeouts and three extra-base hits (two doubles, one home runs) against him. Went to spring training with Texas before being designated for assignment on 3/29…Acquired by MIL on 4/5, and appeared in seven games before being designated for assignment again on 5/9…Spent the remainder of the year with Triple-A Colorado Springs...Made his first three professional starts with Colorado Springs…Has 405 professional relief appearances, 142 at the MLB level...Started on 5/23, 5/28 and 6/2…Did not earn a decision and tossed 6.1 combined innings with nine runs, all earned, allowed…Transitioned back to the bullpen for his final 26 appearances. Acquired from St. Louis in exchange for cash considerations on March 28 near the end of spring training… designated for assignment when the club set its Opening Day roster and was promoted to Texas in mid-May and became a frequently-used bullpen piece over the following three months…from the date of his Texas debut on May 14, through Aug. 18, led the majors with 45 appearances (31.1 IP in that span)…posted a 0.79 ERA (2 ER/22.2 IP) with 28 SO and a .193 opponent average (.576 OPS) over 31 G from June 17-Aug. 18…his ERA in that span was the lowest of any A.L. pitcher (20+ IP) and second-lowest in MLB…in that span, did not allow a run over 17 G/12.0 IP from June 29-July 30… pitched in seven straight Texas games from July 7-18 spanning the All-Star break, posting 3.0 scoreless innings across 11 batters faced…was the longest such streak by a Ranger since Dale Mohorcic tied the ML record by pitching in 13 straight team games, Aug. 6-20, 1986...the last A.L. pitcher to work in as many as seven consecutive games was Minnesota's Eddie Guardado, who pitched in eight straight contests, Aug. 1-9, 1998 (credit STATS, Inc.)…saw action in just nine games from Aug. 19-end of season (spanning 44 team games)…ranked third on the team in appearances…established career highs in games, innings, strikeouts (40), and holds (12)… tied for second on club in holds, fourth in strikeouts, tied for fourth in relief innings…allowed 11 of 47 (23.4%) inherited runners to score, 13th-lowest pct. in A.L...the team-high 47 IR ranked fourth in the A.L…retired 36 of 54 first batters faced, allowing three of his four HR to first batters…had 1.13 ERA (1 ER/8.0 IP) in 8 G at Round Rock before purchased by Texas on May 13. Made 13 appearances for the Cardinals in two stints. Was recalled 8/8 & 8/29 from Memphis (AAA)... Fired scoreless outings in 11 of 13 appearances in MLB, allowing a total of three runs over 12.1 innings pitched... Was not scored upon in first seven appearances in St. Louis (8/8-9.4) covering 7.2 innings, allowing just four hits... Earned first Major League win vs. PIT (8/13), tossing a scoreless inning in a 4-3 Cardinals win in 14 innings... Did not allow a home run to 50 total batters faced in 2013... Has held right-handed batters to a .179 BA (12-67) over the past two seasons... Spent most of the season at Memphis (AAA) where he made 49 relief app. and was 7-2 with a 2.97 ERA. Picked up two saves, while pitching 69.2 IP with 66 K... Both saves earned at Memphis were of four outs... Longest relief outing of the season was 3.0 IP, twice (6/3 at Omaha & 6/15 at Albuquerque). Both were scoreless outings... Threw a season-high 51 pitches facing 12 batters on 6/15 at ABQ... Struck out three or more batters in nine appearances with a season-high of four in four different appearances... Inherited 26 runners allowing seven to score, but did not allow an inherited runner to score from 7/4 through end of season... Led all Memphis pitchers with 10 Holds... Ranked T2nd on the Memphis squad with seven wins, and also ranked 2nd with 49 appearances... Made 18 appearances of 2.0 IP or more at Memphis with 16 of those 18 being scoreless... Traveled with Major League team but was not on the official playoff roster during the postseason. Appeared in 66 games between the minors (42) and the majors (24), pitching at three levels of the Cards' organization. Recalled to St. Louis on 6/1 and made his Major League debut that night in New York. Pitched in 13 games from his call-up until an option to Memphis on 6/30. Allowed eight runs over 12.0 IP, but fanned 10. Was recalled from Memphis (AAA) on 9/1 and remained in St. Louis the rest of season. Pitched in an additional 11 gamesafter his 2nd recall(8.0 IP, 4R, 8K). Held right-handed batters to a .186 BA(8-43), the 4th lowest among National League left-handed relievers. His 24 appearances ranked 8th among National League rookie left-handed relievers. Began season at Springfield (AA), appearing in 15 games (1-3, 1.56 ERA) and stranding all five inherited runners. Was transferred to Memphis (AAA) on 5/14. During the course of the year, made 27 appearances in Memphis (AAA), striking out 27 in 30.1 IP and posting a 2.08 ERA. Pitched in seven games for Surprise Arizona in the Fall League (3.86 ERA, 7.0 IP, 3R, 8K). 2012 POSTSEASON: Was on the club's roster for the Wild Card game vs.Atlanta but did not appear in the game. Made a career-high 59 appearances between Palm Beach (A) and Springfield (AA) with 52 coming in Springfield. ... His 59 appearances ranked 4th among left-handed pitchers and T13th overall in all of Minor League Baseball. ... His 3.16 ERA was 5th lowest among Minor League pitchers with 59 or more appearances. ... Led Springfield with 25 games finished while going 3-for-3 in save opportunities. ... Turned in 41 scoreless appearances out of 52, highlighted by a streak of 13 consecutive scoreless appearances 5/20-6/17. ... Made 13 appearances of four outs or more, 10 or which were scoreless outings. ... Only allowed one earned run in 14 August appearances for an 0.48 ERA in 18.2 IP. ... Has not allowed a run in any of his seven career converted saves. Invited to Major League Spring Training as a non-roster invitee ... sat out entire season after Tommy John surgery. Made 41 appearances between Palm Beach (A) andSpringfield (AA) ... his 41 appearances ranked 4th among Cardinals Minor League left-handed pitchers ... was selected to the 2009 Florida State League All-Star Game, but was called up to Springfield (AA) ... pitched 26 games for Palm Beach (2-1, 1.64 ERA) before getting promoted to Springfield (0-1, 3.52, 1 SV) for 15 more games until an injury sidelined him for the rest of the season on July 25th ... tied his career-high of four strikeouts while posting a save vs. Arkansas (6/25) ... left-handed batters only hit .147, while right-handers batted .160, allowing only 18 hits to 133 total batters faced in Palm Beach. Began season in Johnson City (R) where he made 20relief appearances ... tied for team lead with four wins ... earned first professional win 7/19 at Bristol ... nailed down first pro save 8/16 vs. Kingsport with 2.0 scoreless innings ... threw a career-high 3.0 innings of scoreless relief 7/14 at Kingsport ... was promoted to High-A Palm Beach in first professional season making onerelief appearance striking out four batters in 2.0 IP ... made two appearances (2.1 IP, 2 K) during the 2008 Florida State League playoffs. April 4, 2019 LHP Sam Freeman assigned to Salt Lake Bees. March 28, 2019 Los Angeles Angels signed free agent LHP Sam Freeman to a minor league contract. March 22, 2019 Gwinnett Stripers released LHP Sam Freeman. March 21, 2019 Atlanta Braves sent LHP Sam Freeman outright to Gwinnett Stripers. August 19, 2018 Atlanta Braves activated LHP Sam Freeman from the 10-day disabled list. August 14, 2018 Atlanta Braves sent LHP Sam Freeman on a rehab assignment to Gwinnett Stripers. August 12, 2018 Atlanta Braves sent LHP Sam Freeman on a rehab assignment to Rome Braves. May 4, 2017 Atlanta Braves recalled LHP Sam Freeman from Gwinnett Braves. October 21, 2016 LHP Sam Freeman assigned to Gwinnett Braves. October 14, 2016 Atlanta Braves signed free agent LHP Sam Freeman to a minor league contract and invited him to spring training. October 3, 2016 LHP Sam Freeman elected free agency. May 9, 2016 Milwaukee Brewers sent LHP Sam Freeman outright to Colorado Springs Sky Sox. May 3, 2016 Milwaukee Brewers designated LHP Sam Freeman for assignment. April 5, 2016 Texas Rangers traded LHP Sam Freeman to Milwaukee Brewers for cash. March 29, 2016 Texas Rangers designated LHP Sam Freeman for assignment. October 15, 2015 Texas Rangers activated LHP Sam Freeman. October 8, 2015 Texas Rangers reassigned LHP Sam Freeman to the minor leagues. May 13, 2015 Texas Rangers selected the contract of LHP Sam Freeman from Round Rock Express. April 15, 2015 Texas Rangers sent LHP Sam Freeman outright to Round Rock Express. 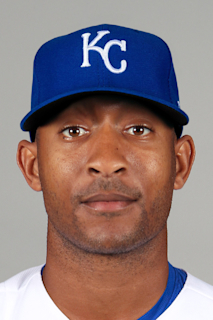 April 5, 2015 Texas Rangers designated LHP Sam Freeman for assignment. March 28, 2015 St. Louis Cardinals traded LHP Sam Freeman to Texas Rangers for Player To Be Named Later. October 17, 2014 St. Louis Cardinals activated LHP Sam Freeman. October 10, 2014 St. Louis Cardinals reassigned LHP Sam Freeman to the minor leagues. May 24, 2014 St. Louis Cardinals recalled LHP Sam Freeman from Memphis Redbirds. May 19, 2014 St. Louis Cardinals optioned LHP Sam Freeman to Memphis Redbirds. May 13, 2014 St. Louis Cardinals recalled Sam Freeman from Memphis Redbirds. March 23, 2014 St. Louis Cardinals optioned LHP Sam Freeman to Memphis Redbirds. November 1, 2013 Sam Freeman roster status changed by St. Louis Cardinals. October 3, 2013 St. Louis Cardinals reassigned LHP Sam Freeman to the minor leagues. August 29, 2013 St. Louis Cardinals recalled LHP Sam Freeman from Memphis Redbirds. August 17, 2013 St. Louis Cardinals optioned Sam Freeman to Memphis Redbirds. August 8, 2013 St. Louis Cardinals recalled Sam Freeman from Memphis Redbirds. March 26, 2013 St. Louis Cardinals optioned Sam Freeman to Memphis Redbirds. October 24, 2012 Sam Freeman roster status changed by St. Louis Cardinals. October 8, 2012 Surprise Saguaros activated LHP Sam Freeman. September 1, 2012 St. Louis Cardinals recalled LHP Sam Freeman from Memphis Redbirds. August 27, 2012 Sam Freeman roster status changed by Memphis Redbirds. August 15, 2012 Memphis Redbirds placed LHP Sam Freeman on the 7-day disabled list. July 1, 2012 Memphis Redbirds placed LHP Sam Freeman on the temporarily inactive list. June 30, 2012 St. Louis Cardinals optioned LHP Sam Freeman to Memphis Redbirds. June 1, 2012 St. Louis Cardinals recalled Sam Freeman from Memphis Redbirds. May 14, 2012 Sam Freeman assigned to Memphis Redbirds from Springfield Cardinals. March 31, 2012 Sam Freeman assigned to Springfield Cardinals from Memphis Redbirds. March 20, 2012 St. Louis Cardinals optioned Sam Freeman to Memphis Redbirds. November 18, 2011 St. Louis Cardinals selected the contract of Sam Freeman from Springfield Cardinals. October 12, 2011 LHP Sam Freeman assigned to Bravos de Margarita. May 6, 2011 Sam Freeman assigned to Springfield Cardinals from Palm Beach Cardinals. April 15, 2011 Sam Freeman assigned to Palm Beach Cardinals from Springfield Cardinals. September 14, 2009 Sam Freeman roster status changed by Springfield Cardinals. June 12, 2009 LHP Sam Freeman assigned to Springfield Cardinals from Palm Beach Cardinals.